Wide array of metal solutions for the industrial kitchen market place. 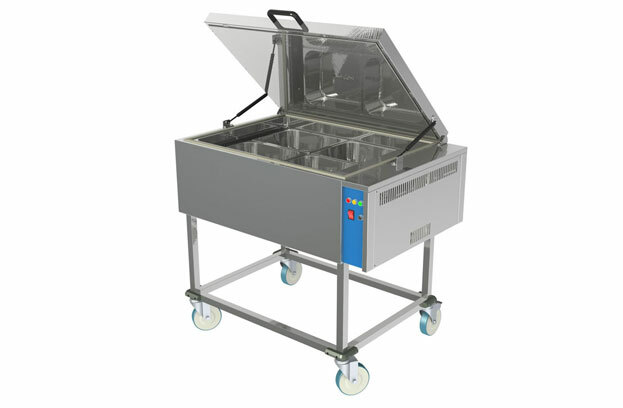 This product sets new standards in the field of small and medium size kinder garden catering. In these kinder garden locations, prior to the OVENTECH era, food was often served late cold and unappetizing. Combined with an adjacent fridge, food now is distributed to gardens in the very early morning hours when traffic is light. The food is kept cool then heated up just before lunch to be served fresh healthy and tasty right on time. The data (food temp and serving time) is collected and being sent to a central control location. 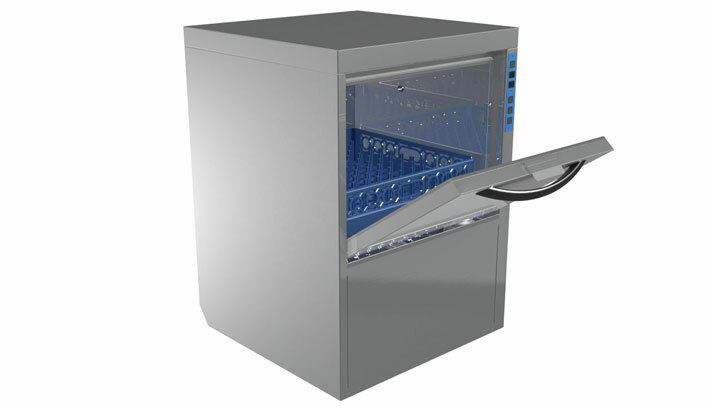 Palbam is the exclusive distributer of this top of the line commercial dish washer. With many years of experience, Kitzinger delivers the highest-end product. The unit is fully customized. Just as an example, it can be designed to wash any size of plastic containers or pallets. The washed containers can now store food or prescription drugs. 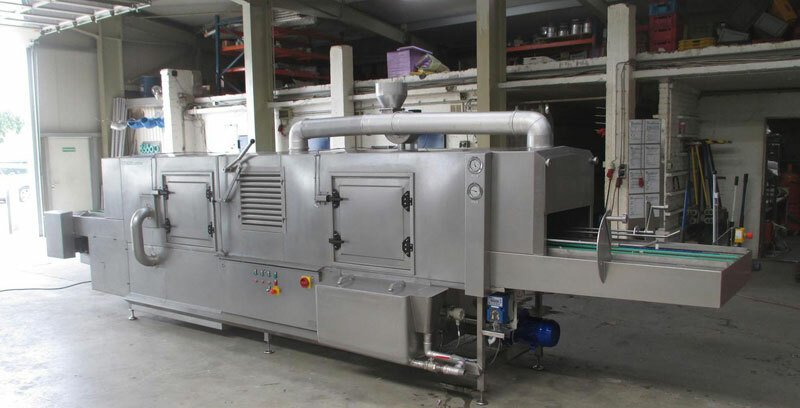 Washing capacity is user defined and can be alter on the fly. Designed by Palbam, this minimal foot print dish washer provides a unique solution. An optimal utilization of water flow and spray enable cleaning process (that elsewhere takes hours), to be completed after very few minutes! An integrated dryer ensures the dishes, now clean and dry, can be put again to use in only several minutes.